What’s Going on with Mechanical Difficulties?! HomeWhat’s Going on with Mechanical Difficulties?! I’m happy to be back to update you on what has recently changed around Mechanical Difficulties. I bet you’ll love what’s about to come and what has happened since the last update. While looking for investors I’ve shied away from writing new blog posts. I’ve lately dove deep into the pitching world and constantly try to perfect my game. But until I have results to show, I don’t feel comfortable teaching you the approach I’m taking. I just can’t know for sure whether or not what I’m doing actually works. That’s why there have been fewer posts which have resulted in the following questions – What’s going on with the game? Are there any updates? I’m happy to bring you this article to clear things up and give you an overview of what’s about to come in the near future. What’s going on with Mechanical Difficulties? My original plan was to polish up the game enough to partner up with an investor during August. I quickly realized that I had set too high expectations and finding an investor in just one summer month wasn’t going to happen. Usually, there just aren’t many investor-filled events in the summer and communication takes time. Also, it is not good to rush into a partnership that you will be part of for the next several years. That means I’m still on the look-out. Because the search for an investor has been taking away most of my energy, I haven’t been able to do much development, not to mention writing many blog posts lately. On top of all that my team members have been very busy with their day jobs, not being able to develop much either. Mechanical Difficulties is now available on itch.io! 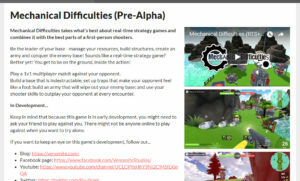 It is a popular website where indie game developers, like me, share their game projects. Because itch.io has such a large audience, the number of people who have downloaded MD has grown almost ten times, since the last game development update! As of writing this article we are at 635 downloads, in total. It has also resulted in a large increase in game testers and the creation of an MD chat server on Discord. We now have a Discord server, that anyone can join! 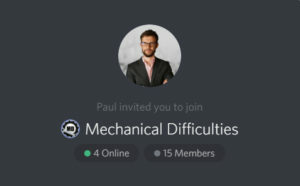 A Discord server is basically a chat room which anyone can join to come and talk about Mechanical Difficulties. It was suggested and set up by NeverLucky, a fan of MD who is now the moderator of our Discord server. What makes this chat room so great, is the fact that you can always find someone to play against when you want to try the game! 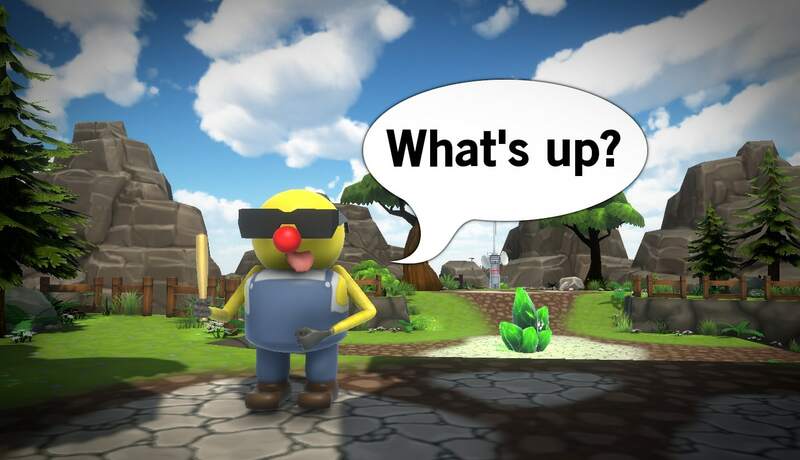 And if you have quick suggestions of questions about the game, you can also quickly contact me there. Game Development update coming soon! Because there have been so many changes since the last update video, I can’t wait to show you what’s new! In about the next 5 days I will start making the 7th Game Development Update Video. Stay tuned for the awesomeness!